As Singapore's current partnership with Formula One enters the final straight, the focus of renewal talks must be on the value proposition that the Grand Prix can offer beyond 2017. 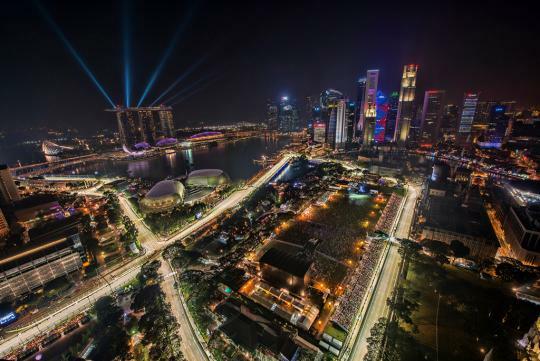 The only truly night race on the F1 global circuit, the event has been synonymous with Singapore since 2008. Both partners have benefited from its glitz and glamour, heightened by the Marina Bay skyline. However, there is concern about the continuing va-va-voom of the race after a decade. Once a must-attend occasion for A-list celebrities, its star power has faded somewhat. Musical acts, which proved to be a masterstroke by race organisers, have also struggled to live up to the big names of previous years, like Rihanna and Beyonce. The F1 action itself has not roared as much, with only one team dominating over the last few years. Its cast of characters have also become predictable. If there is to be a future for Singapore and F1, there first must be a clear-eyed assessment of how fresh value can be brought to the GP. A tuned-up event has to be exciting and relevant to all stakeholders. As it is, a proportion of Singaporeans appear to be jaded, judging from a Straits Times online poll last week: out of over 3,000 people who took part, more than 2,000 did not think the race should return for a third stint. For many, the benefits are not as obvious as the palpable inconvenience the race brings. Singaporeans have to live with road closures in the Marina Bay district, while merchants in the area lament poor sales due to people avoiding the circuit. Many don't immediately see the economic pluses - for example, Singapore gets $150 million in incremental tourism receipts for every race, over and above the typical tourism spending on a non-race weekend. They might not be aware that while global viewership for F1 has been falling, the number who tuned in live to watch the Singapore race every year has held steady at about 80 million annually. Such global airtime, many analysts argue, is priceless for the tourism industry and adds lustre to the city-state's image. That is the justification for the Government to bear 60 per cent of the $150 million cost to host the Singapore race, the rest coming from race promoters Singapore GP. The big question now is if F1 can continue to benefit Singapore or if another world-class event can be found to attract today's audiences by the droves. It is important for Singapore and F1 to see how the next lap can yield a viable and vibrant formula of success. The parties might have to hark back to 2007, when the first deal was signed, to rediscover the energy and enthusiasm which prevailed then. The economic numbers underpinning the old proposition reflected that spirit. But times have changed and cities now weigh costs and returns in a fresh light. If the Singapore F1 dream is to remain on track, it must create unmistakable value for all. The following article has been published in The Straits Times on 29th of November 2016.